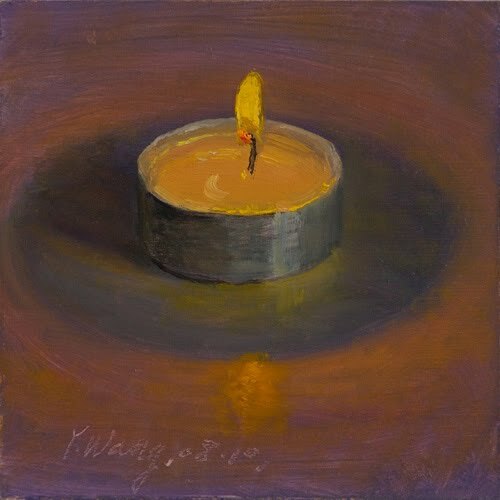 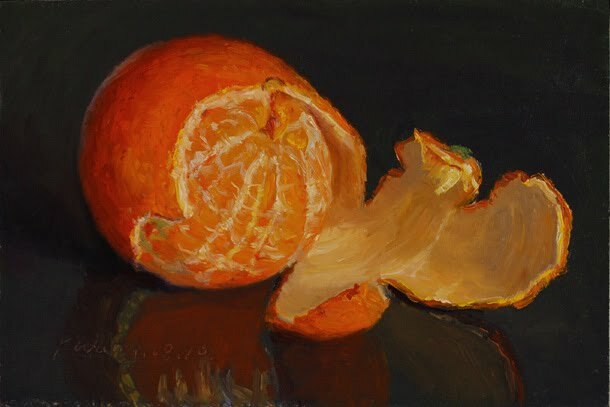 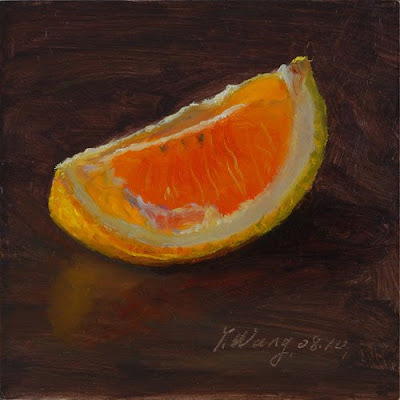 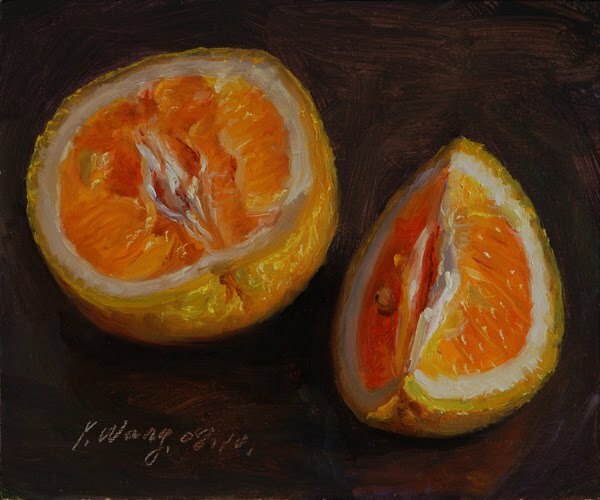 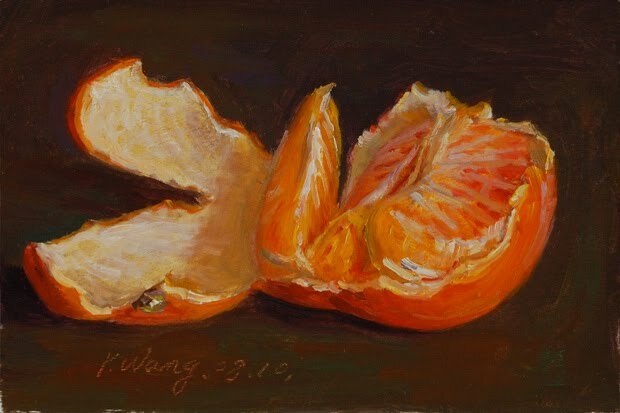 a slice of orange, 4x4 in. a cracked egg with light grayish background, 5x5 in. 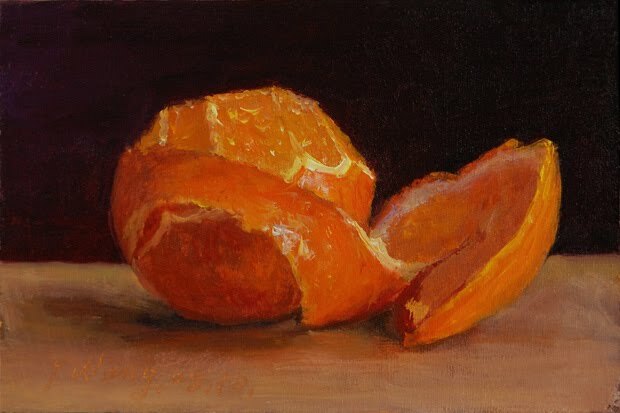 slices of orange, 5x6 in. 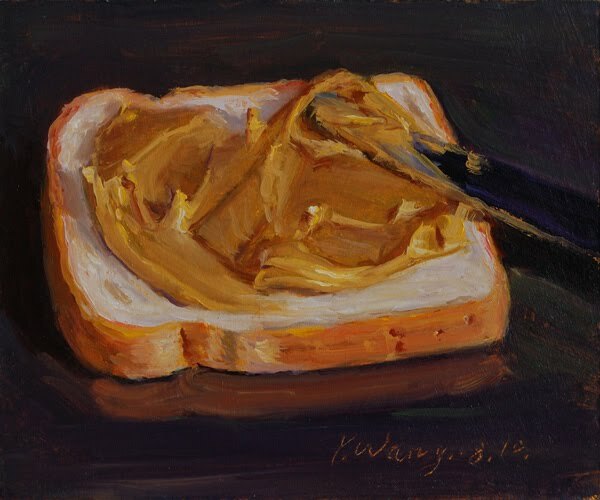 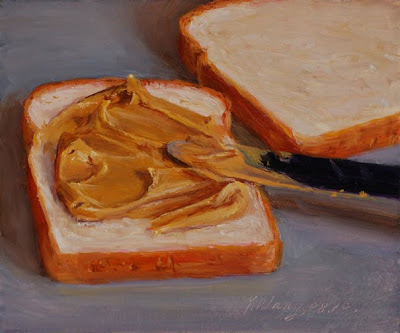 a slice of bread with peanut butter, 5x6 in. 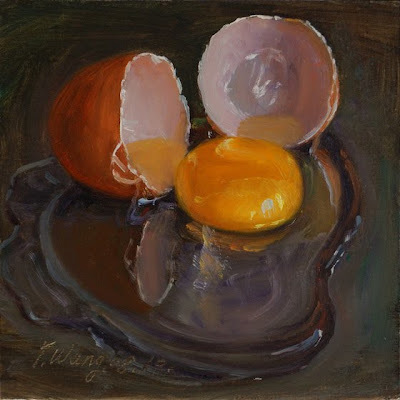 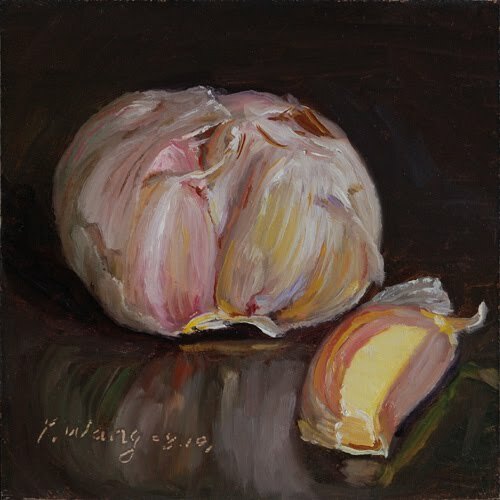 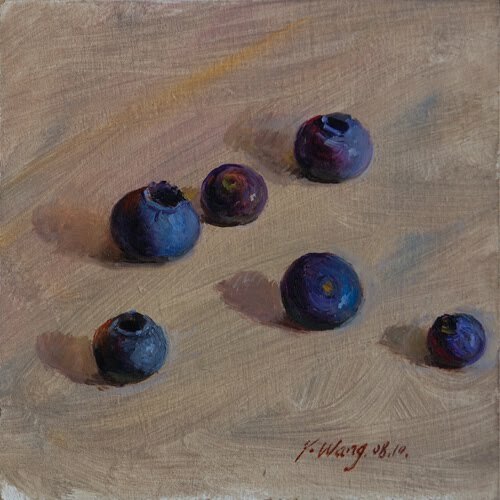 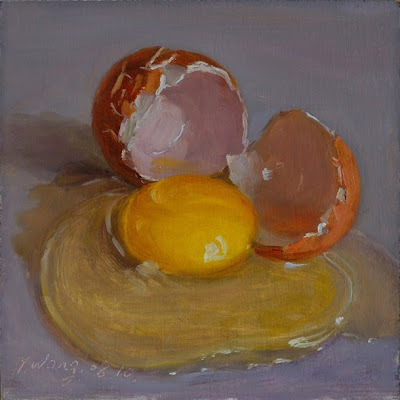 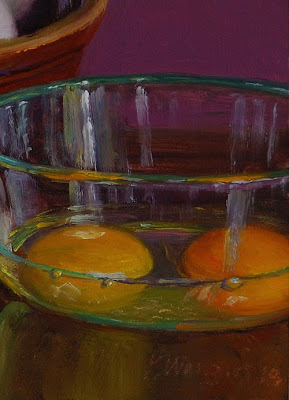 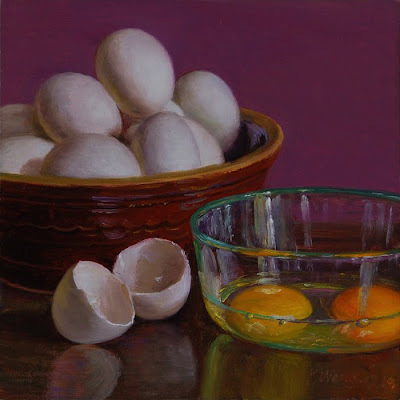 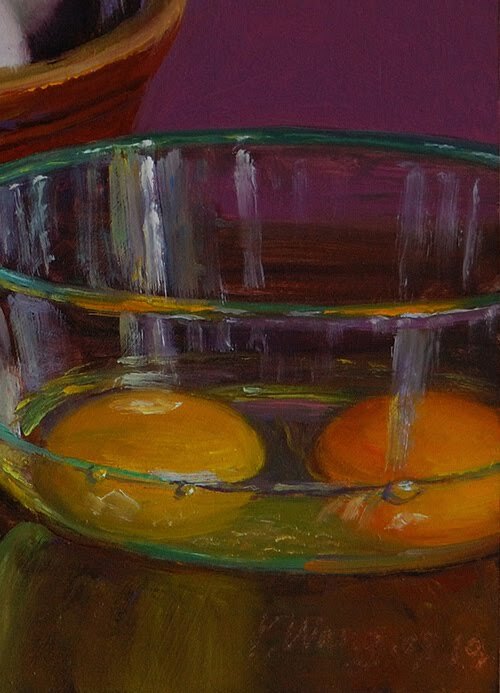 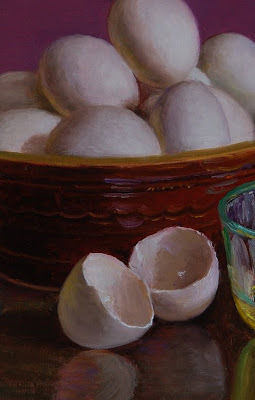 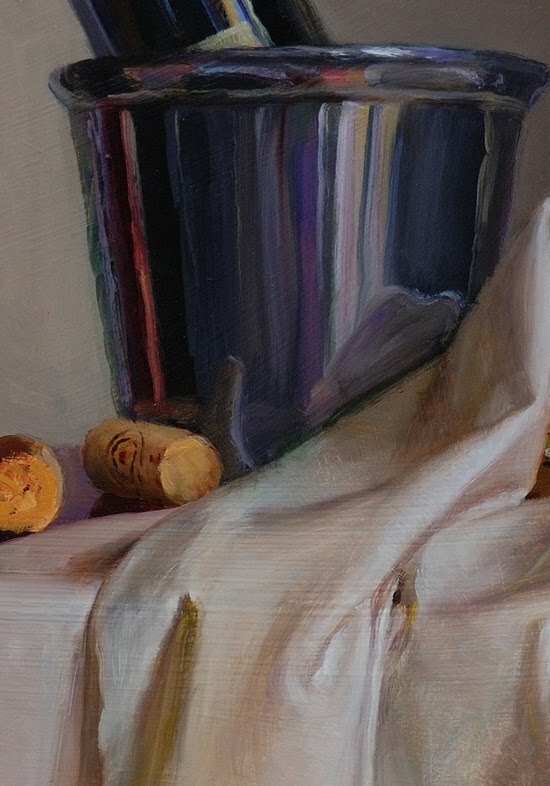 still life with eggs, 8x8 in. 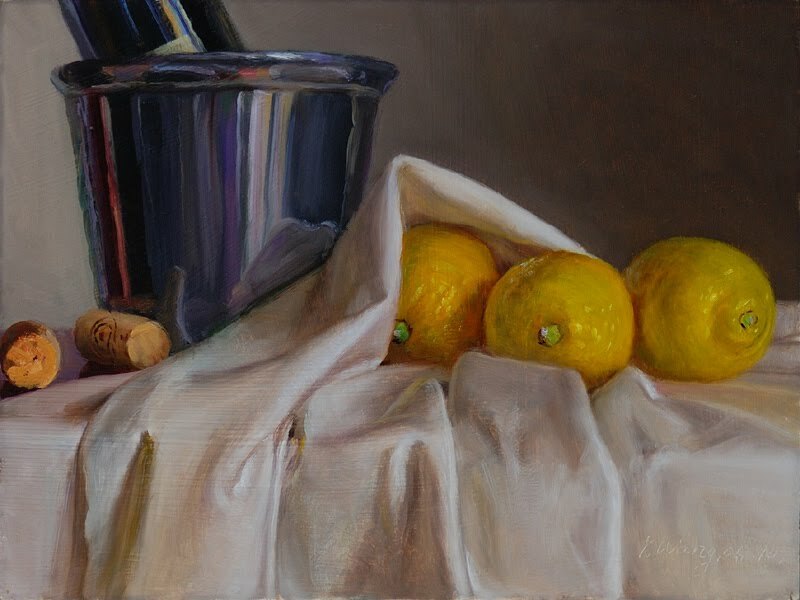 still life with lemons and wine, 9x12 in. 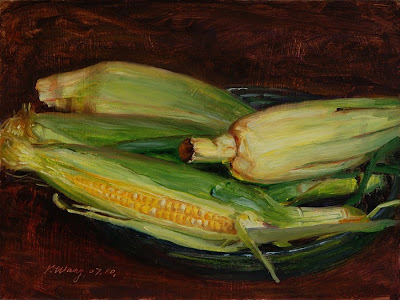 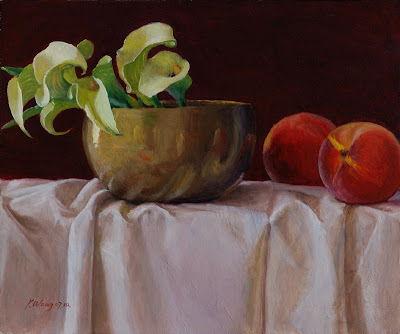 still life with calla lily and peaches, 10x12 in. orange (or tangerine), 4x6 in. slices of bread with peanut butter, 5x7 in. 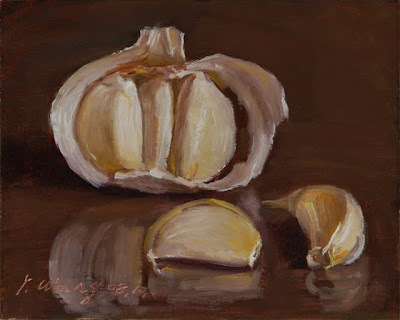 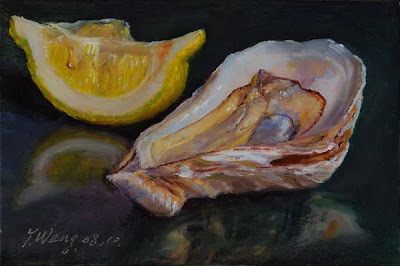 oyster with lemon, 4x6 in. 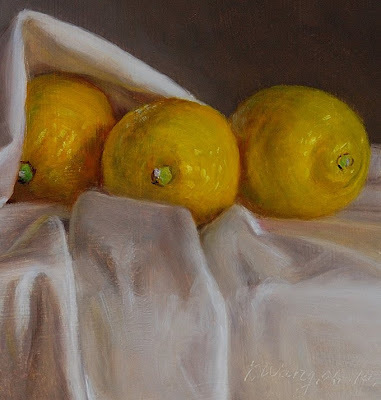 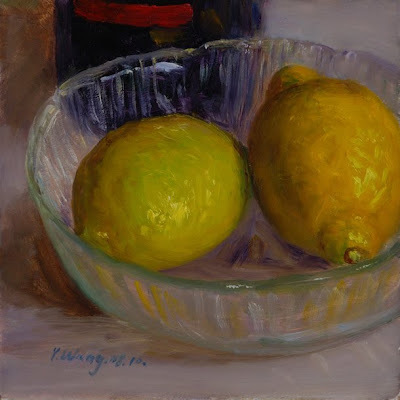 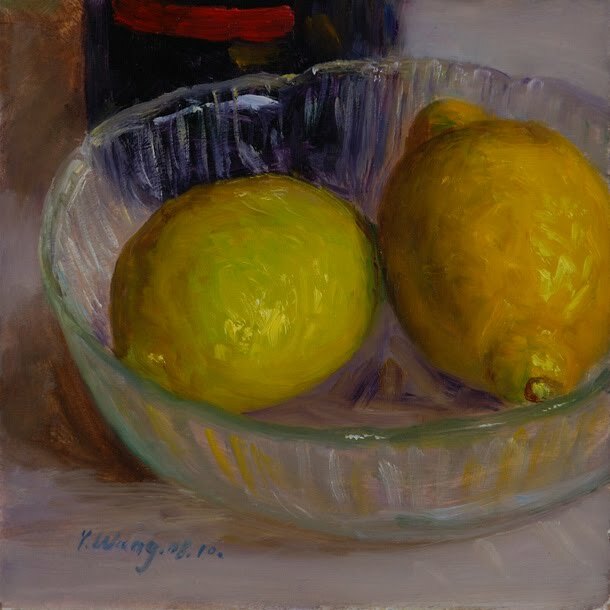 still life with 2 lemons, 6x6 in. 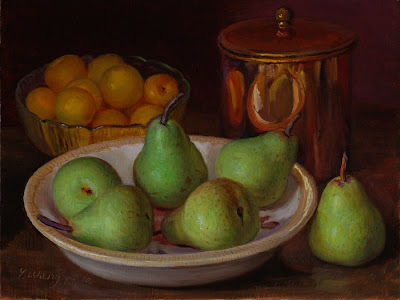 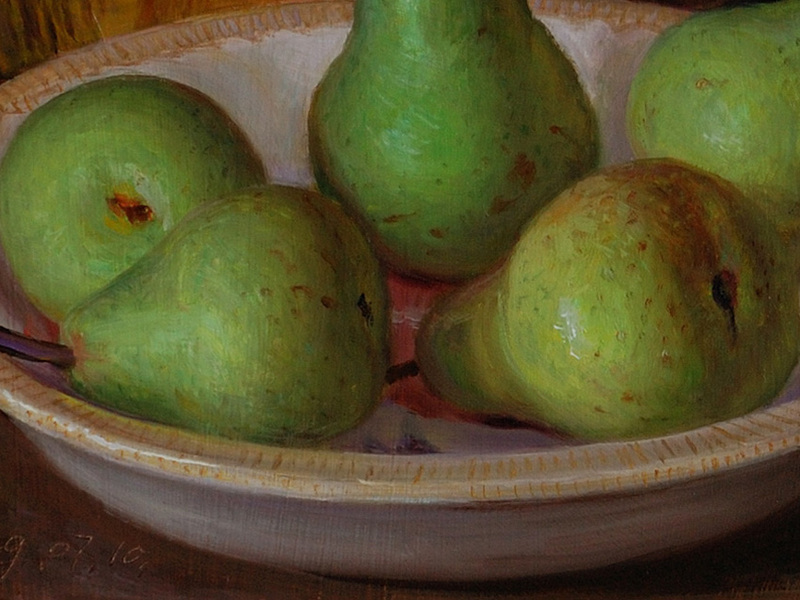 still life with pears sand apricots, 9x12 in. 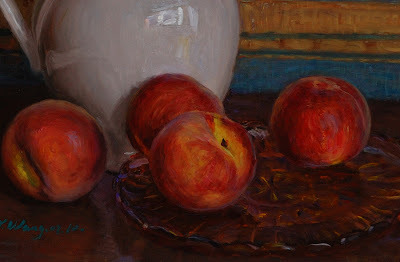 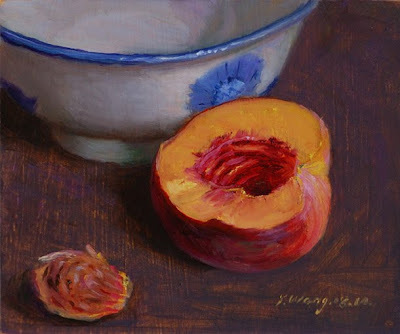 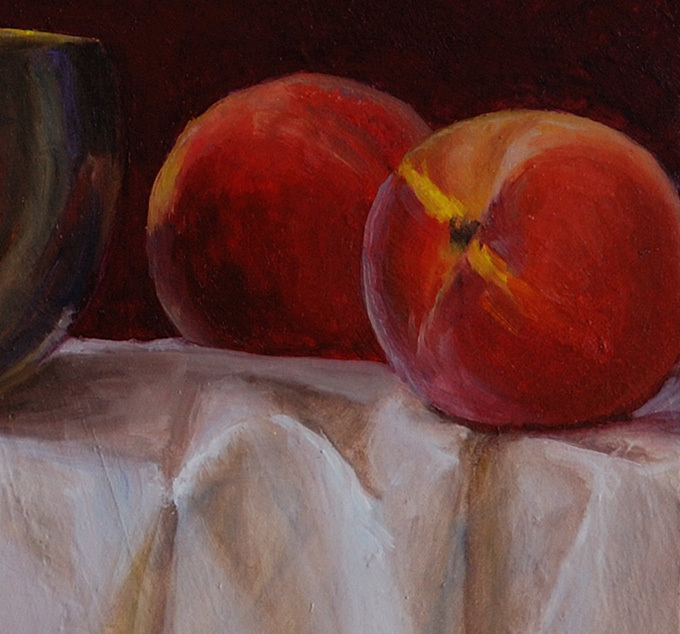 still life with half of a peach and a bowl, 5x6 in. 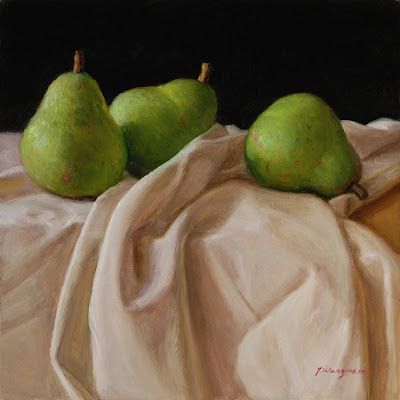 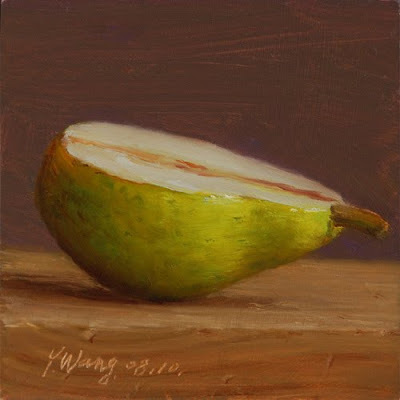 half of a pear, 4x4 in. 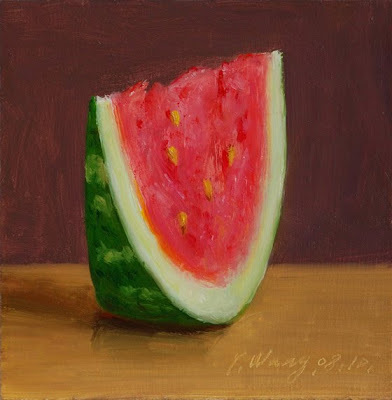 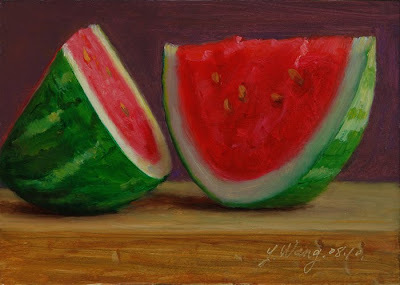 a slic of watermelon, 5x5 in. 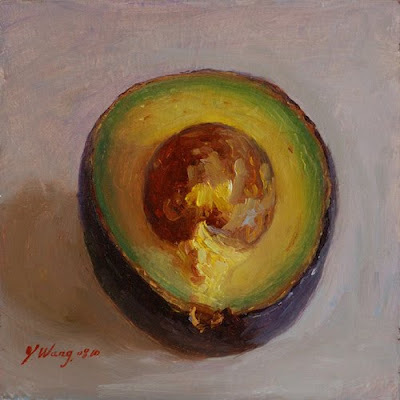 a half of avocado, 4x4 in. 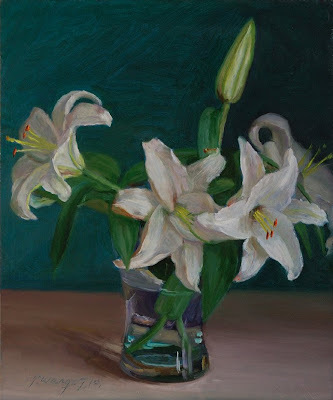 white lily with bluish background, 10x12 in. 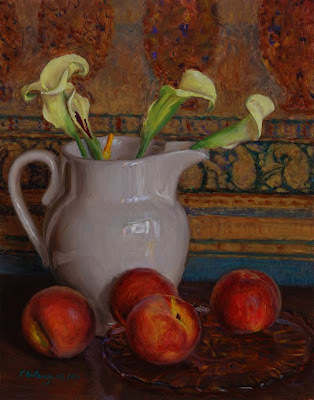 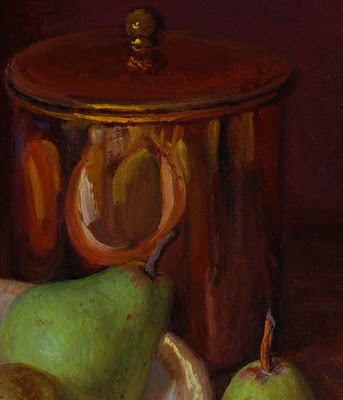 still life with peaches and calla lily in a pitcher, 11x14 in. 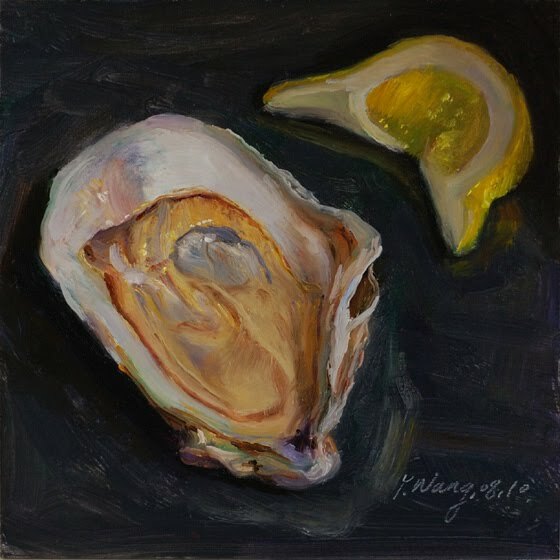 oyster with a slice of lemon 5x5 in. white lily in a vase, 8x8 in. 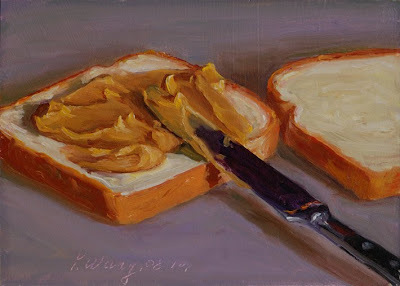 slices of bread with peanut butter, 5x6 in. 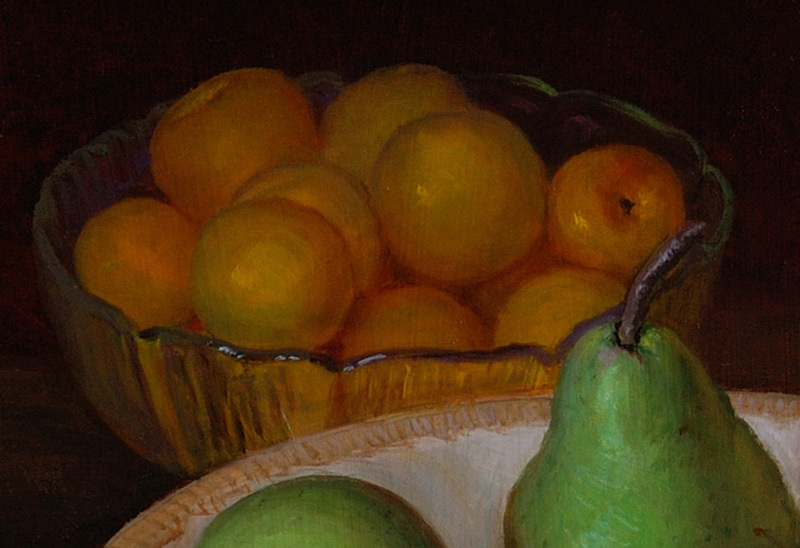 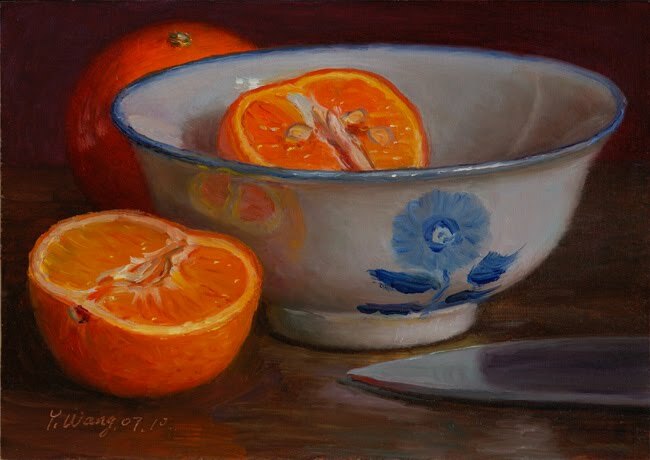 still life with oranges and a bowl, 5x7 in. a mango in a plate, 5x7 in. 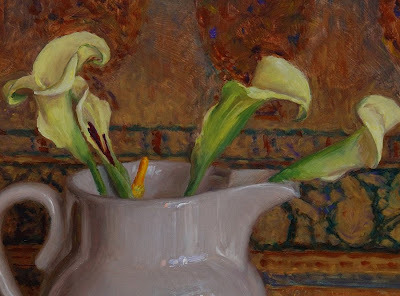 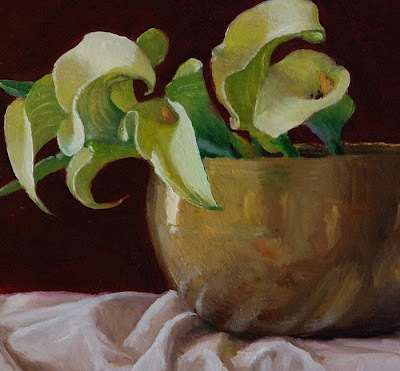 calla lily #4, 4x8 in.